Growing older certainly has its perks in terms of increased wisdom, but when it comes to preserving smooth, wrinkle-free skin, the aging process definitely does more harm than good. Board-certified plastic surgeon Dr. Richard Lee offers a variety of dermal-filler options to help fight the aging process, and Restylane is the most popular of these. 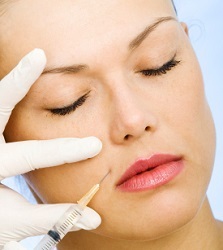 Restylane is a hyaluronic-acid dermal filler that is FDA approved and expected to last up to one year. This highly popular injectable gel works by filling in the soft tissue under the dermis to add volume that diminishes the appearance of facial lines and folds. Some of the more common areas are the smile lines around the mouth, the nasolabial folds, and wrinkles between the brows. To learn more about the benefits of Restylane, contact Dr. Lee’s office located in Newport Beach.